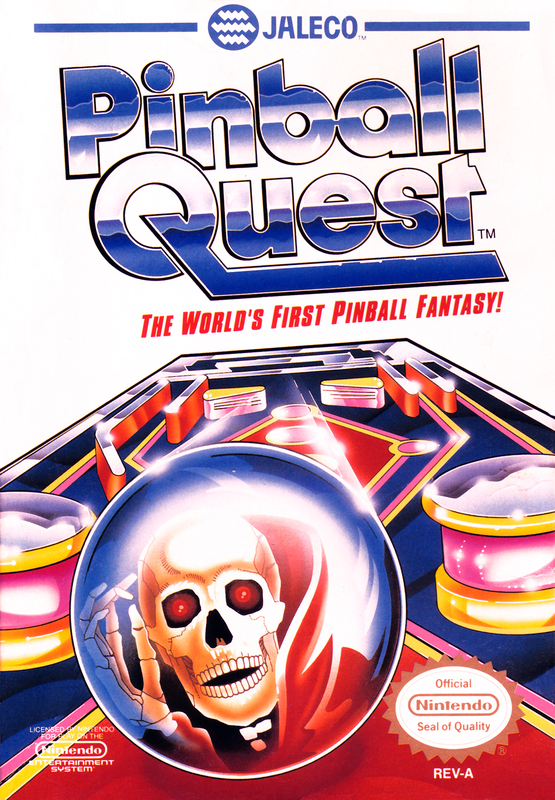 Краткое описание: Don't let the name fool you - Pinball Quest is much more than video pinball. 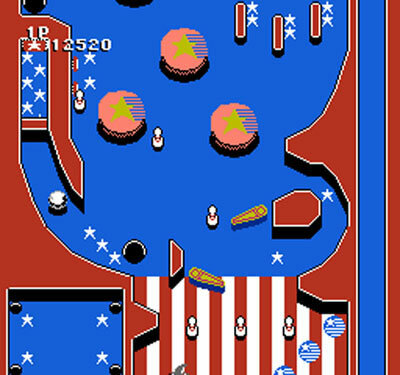 In fact, it's the first-ever multi-screen fantasy in a pinball format! Every move you make tells a story; every shot takes you another step closer in your quest to rescue the captive princess of the castle. Along the way you'll meet ghosts, goblins, witches and demons, in an endless labyrinth of treacherous passages and deadly doorways. It takes a fearless heart and a fast mind to conquer Pinball Quest. It also takes the skills of a true pinball wizard... which you can hone on the three other video pinball games included on this cartridge! So before you pour any more money into your NES library, get the one title that's a library all by itself! No matter how hard you try, you can't get enough of Pinball Quest! 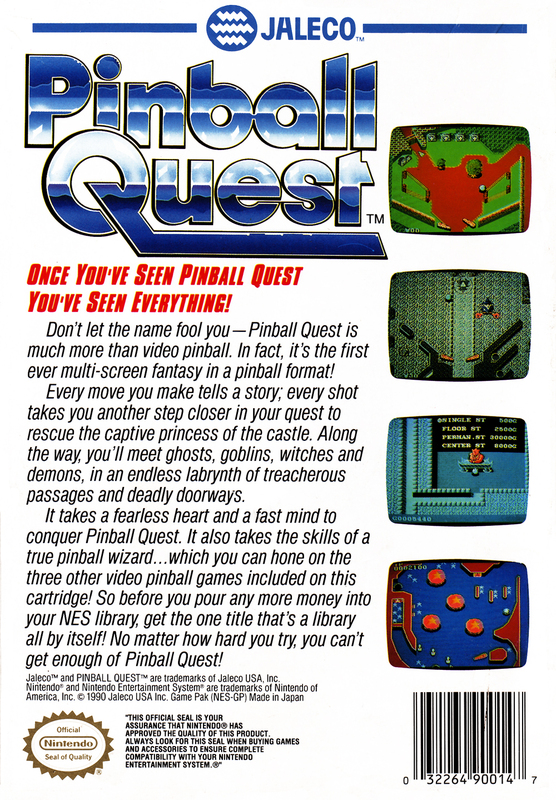 Don't let the name fool you - Pinball Quest is much more than video pinball. In fact, it's the first-ever multi-screen fantasy in a pinball format! Every move you make tells a story; every shot takes you another step closer in your quest to rescue the captive princess of the castle. Along the way you'll meet ghosts, goblins, witches and demons, in an endless labyrinth of treacherous passages and deadly doorways. It takes a fearless heart and a fast mind to conquer Pinball Quest. It also takes the skills of a true pinball wizard... which you can hone on the three other video pinball games included on this cartridge! So before you pour any more money into your NES library, get the one title that's a library all by itself! No matter how hard you try, you can't get enough of Pinball Quest!